The gay scene in Acapulco is in significant flux of late. What once was a favorite playground of both Chilangos (from Mexico City) and foreigners has slowed down and a number of LGBT establishments have closed as a result. But their remains a significant and lively gay scene with a healthy number of places to go out, to stay and still lots of people hanging at the gay beach. Elsewhere in Guerrero state the scene is a little quieter for nightlife but in the resort towns of Ixtapa and Zihuatanejo you'll find a fair number of tourists, expats and locals but reliable gathering places are scarce. 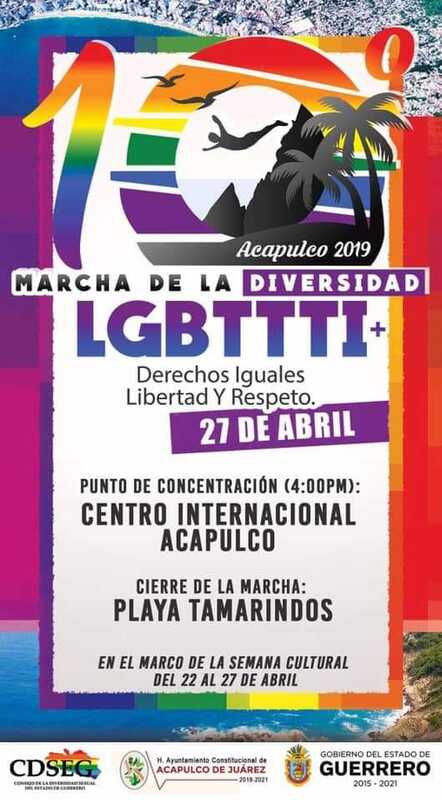 The state capital of Chilpancingo has a substantial gay community and organizes a lively pride parade each year but few regular places to go out. Men only gay guesthouse with 8 rooms. Pool. Cocktail and snack bar service. All rooms with AC, safe, wifi, TV, continental breakfast included. Clothing optional. Large disco with multiple venues / event nights including Demas Factory, Demas Pink and Coco Mambo. DJs, Drag shows, GoGos and strippers depending on night. The section of Playa Condesa below Beto's Condesa restaurant and bar on the Costera Alemán is Acapulco's gay beach, extending from the area known as "Las Piedras" eastward to the end of the beach. The water can sometimes be too choppy for real swimming, but it is fine for wading. There is some discreet cruising among the rocky section. Restaurant and bar very close to the gay beach which is mixed but a popular gay meeting spot for a drink or meal. 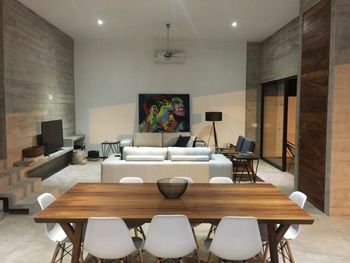 Gay owned vacation rental villa located on a hill overlooking Playa La Ropa. One bedroom, full kitchen, infinity pool, wifi. The owner Michael Hacket lives on the property. Gay owned and operated B&B with two rooms for rent and a roof-top infinity pool. They are focused on providing a romantic and relaxing accommodation for the LGBT community. Gay owned luxury B&B. Three suites, all with AC, TV, Internet. Gay owned property located 40 minutes north of Acapulco on a sandbar that has a fresh water lagoon near the front door and a soft sand Pacific beach just beyond the garden and swimming pool at the rear of the property. The entire house can be rented or individual rooms.